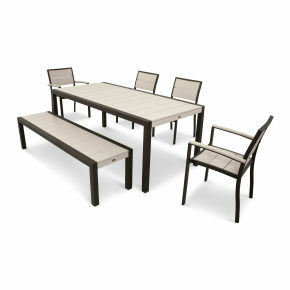 Give your outdoor dining and entertaining space a fresh new look with the Trex® Outdoor Furniture™ Surf City 68" Bench. 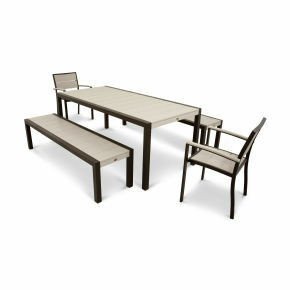 This unique seating option is as attractive and functional alone as it is when paired with the Surf City 36" x 73" Dining Table. And you’ll appreciate how the choice of eye-catching, fade resistant color combinations coordinate perfectly with your Trex deck. 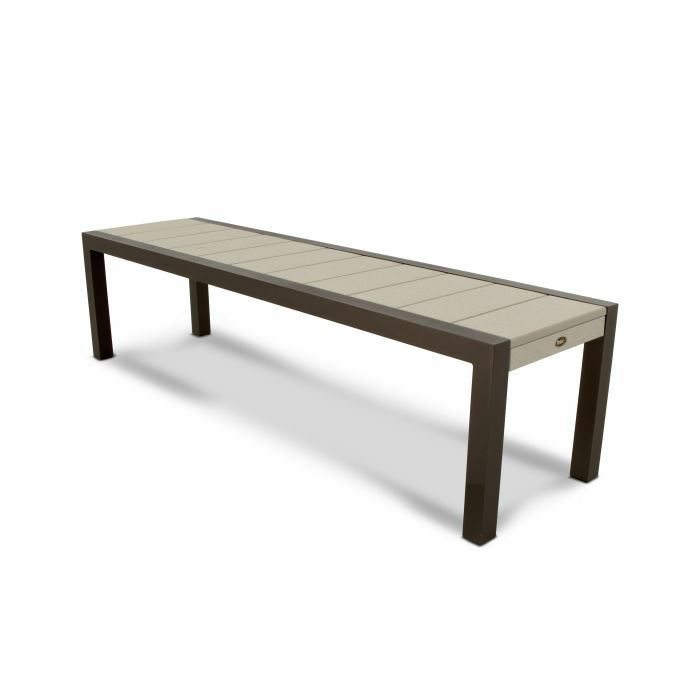 This all-weather bench is made with a sturdy aluminum frame and durable HDPE lumber slats. But unlike real wood, it won’t rot, crack or splinter, nor does it require painting or staining. It’s also resistant to weather, stains and environmental stresses. Backed by a 20-year warranty, you can count on this low-maintenance bench to last and look good for years to come.